'New' Synodical Convention Report Available here! information that is useful in witnessing to others in the church and community. Publishing House and lead the workshop yourself, or you can use the services of your District Evangelism Executive to monitor the E1HW workshop. 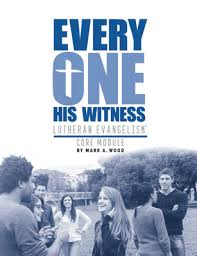 If you have questions concerning Every One His Witness, Lutheran Evangelism Core Module by Rev. Mark Wood or are interested in having me lead an E1HW workshop at your church, call 405-495-1605. Thank you!! I received an article written by Rev. 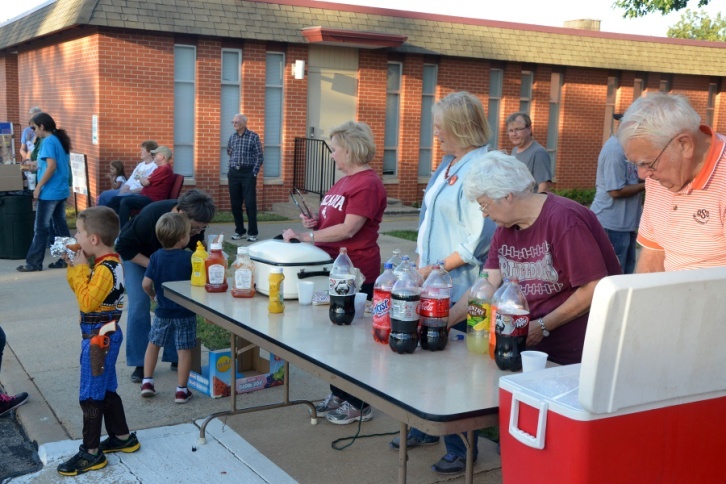 Todd Kollbaum, director, LCMS Rural & Small Town Mission (RSTM) and believe it is informative and can be a blessing as churches in the Oklahoma District reach out and connect with their community.Todd mentioned that we in the church have often done events/activities for decades without much thought. He suggested that those familiar events can be used for outreach. He suggests that leaders use church events for outreach; and as they make plans for each event that they ask: Who do we want to reach? When is the best time to reach them? Where are those people? How and what should our message be? As you ask those questions, you might comment that the same people and a small number of people always plan and participate in every church event. If that’s the case, consider partnering with another congregation. And if you choose to partner, be open to and welcome new ideas; because sometimes we become set in our ways and say, ‘We’ve never done it that way before.” Work together, not against one another. And don’t be afraid to think out of the box. Consistency and anticipating a familiar event can be a blessing and change can be scary, but a different menu, some entertainment, a little something unexpected can create some new excitement and an opportunity to share ‘good news’. In order for people to know about the events and activities happening at the church, news about those events needs to get out, and mentioning a special church or mission project you are supporting lets people know your desire to serve God and share His message of forgiveness and hope. Signs, flyers, website posts, social media (like facebook), and radio announcement (if possible) are necessary means for a message about a church event (outreach opportunity) to be seen and heard, and don’t forget to use a personal invite to encourage people to attend. And when the people come ‘welcome’ them, introduce yourself, try to make all attendees feel like you are glad that they are there. Don’t sit in a corner or let your guests sit in a corner by themselves. And always share God’s Word via a prayer or devotion or something. Fellowship is important and food is a good conversation starter, but use every opportunity God gives to speak the truth of His word, the blessing of forgiveness and the joy of an eternal salvation. And after all is said and done at a church event, it still not over. Take the connection made, the relationship started and follow up with a phone call, card, or a visit. Use the follow up time to invite to a seasonal (a Sunday) worship service or your next activity. God’s Word does not return to Him empty.